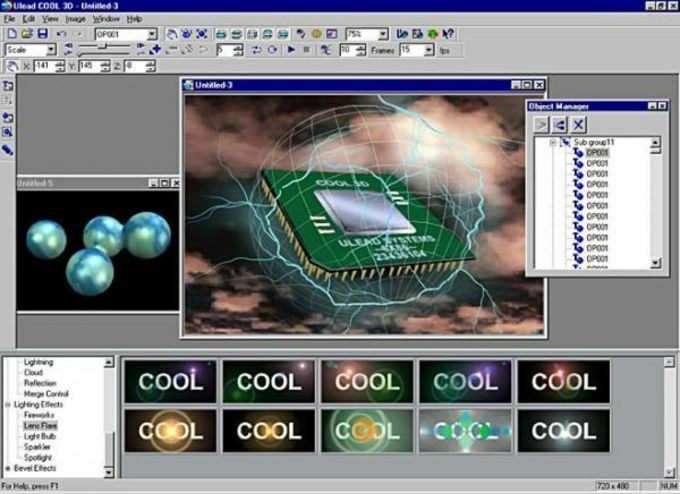 Ulead Cool 3D is a nice, trial version software only available for Windows, that is part of the category Design & photography software with subcategory 3D Design (more specifically Fonts & Logos) and has been created by Ulead. Since we added this program to our catalog in 2005, it has already reached 131,012 downloads, and last week it achieved 63 downloads. It's available for users with the operating system Windows 98 and former versions, and you can get it only in English. The program version is 3.5 and it has been updated on 12/11/2001. About the download, Ulead Cool 3D is a slick program that takes up less storage than the average program in the category Design & photography software. It's very heavily used in some countries such as Indonesia, Malaysia, and Sri Lanka. Ulead® COOL 3D™ 3.5 allows designers to create high-impact 3D images. Output these 3D images as still graphics, animations, video or Macromedia® Flash™. What do you think about Ulead Cool 3D? Do you recommend it? Why?